Black women have long mobilized against the multiple forms of discrimination they have faced in the pursuit of better lives for themselves, their families, and the well being of their communities. Black women’s activism has been marked by their high levels of civic engagement, robust voting participation, and their leadership of racial justice movements. Black women have led campaigns against lynching, segregation, voter suppression and state violence. They have also been at the forefront of movements against sexual violence, sexual harassment and other forms of discrimination in the workforce, and have led efforts to expand the contours of reproductive freedom and political representation. 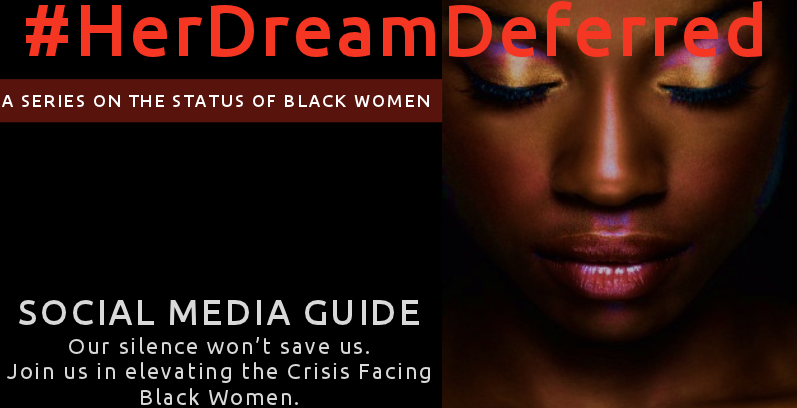 Yet even as Black women’s advocacy continues to reflect commitments to an inclusive vision of racial and gender justice, many of the specific challenges that Black women face are relegated to the margins of racial justice campaigns. Acknowledging the centrality of Black women to our history and social fabric while recognizing the uniquely gendered and racialized challenges they face is critical if we are to build movements that are fully inclusive and successful. Please join us for a weeklong series of activities in honor of Women's History Month and the UN International Decade for People of African Descent as we come together to increase public understanding of the specific intersectional challenges that US women of African Descent face. Our week is dedicated to elevating issues confronting Black women that are all too often cast into the shadows of concern. Each day during the week of March 30-April 3, we will host an online event to highlight a specific set of challenge facing Black women. Topics that will be covered include: state-sanctioned violence, economic inequality, sexual assault and domestic violence, school-pushout, health disparities, and the challenges faced by Black women in higher education. Our goal is to elevate these challenges so that stakeholders across the country can better understand and address the sometimes unique challenges facing Black women and girls. Information is key to broaden the public will to develop an inclusive social justice agenda that leaves no one behind.